If you are a member of the sandwich generation – that is, a person with “a living parent age 65 or older who is also either raising a child under age 18 or supporting a grown child”– then you know that caring for an elder is a demanding responsibility, according to PEW. This FYI toolkit provides some guiding tips for raising concerns with your family about an elder’s need for care. It includes resources to help family members identify changes that their parents or close relatives may experience as they age, as well as guidance in sharing in the responsibility of caretaking. Lastly, the toolkit highlights the importance of self-care for a primary caregiver and provides strategies to avoid burnout. Realize that you will need to have more than one conversation. Not everything can be taken care of all at once. As you begin having these conversations with your parent(s), remember that you do not need to cover everything all at once. Not sure how to begin? Here are some conversation starters to help broach the subject. When you introduce the subject to your parent(s), make sure you explain the reasons for your concern with respect and consideration, rather than by making demands. People tend to get defensive if they fear that some of their liberties and freedoms may be taken away. Make room for them to express their needs and be respectful of their concerns and wishes. Be conscious that this is not easy for anyone involved in these plans (grandparents, parents, or children) especially in cases of serious illness. Make sure to make time to talk about these issues with children who may be affected by the decisions being made about their grandparent. Use spiritual resources to deal with loved ones’ sickness and mortality. It is also important to be prepared for and understand how to work through family conflict that may arise. Go through multiple options that the family can discuss together. There is no one-size-fits-all solution and each family is unique. Elders in the family structure who are being cared for have specific needs that sometimes do not occur to their children or caretakers. It is important to be conscious of the challenges of aging and the subsequent physical and emotional needs that elder family members may have. It is also important to make sure you are considering their wishes as you go about planning for their continued care. So how do you know if your parent or elderly relative is reaching the stage where they might need extra help? Here are some signs that they may need extra help. Does their house or yard need care? Do you notice disheveled clothing? Are there broken appliances in their home that aren’t getting fixed? Are there spoiled/expired groceries that don’t get thrown away? Have you noticed changes in mood or extreme mood swings? These are just some of the early signs that your loved one may need a little extra help. Click here to read more. Some elder family members may suffer from memory loss due to disease or even from the normal process of aging. 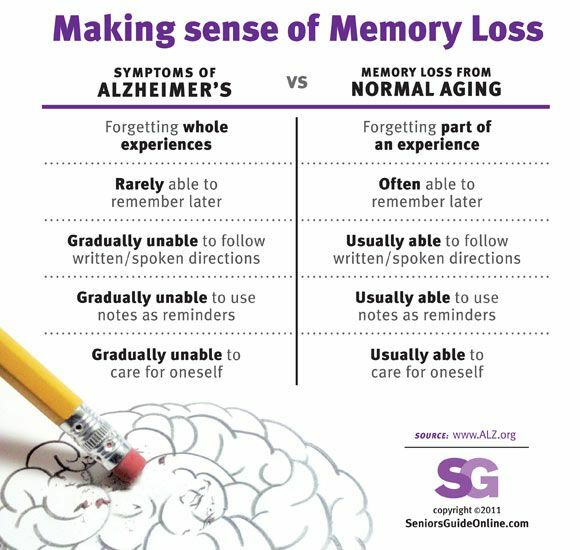 It is important to know the difference between symptoms of Alzheimer’s, dementia and normal memory loss due to aging. Additionally, many elders experience various mental health problems in their older age such as depression and anxiety. These conditions experienced by elders are more common than once thought and can stem from many areas, some of which include an increase in life stressors such as loss of mobility, decline in ability to do the things that were once easy, loneliness due to loss of friends or continued experience of loss due to having to move from a familiar home, routine, and/or environment. It is important to be able to identify the risk factors and signs of depression in order to properly care for elders. Once you begin to understand the situation better, you can find productive ways to help. But what if help is not accepted and even though you notice signs that your parent needs the extra help? What if they continue to refuse your assistance or the assistance of others? Being tactful in offering care to an elder can mediate their resistance to being helped. It is important to try to empathize and understand why they may be having this reaction. If they understand that you are not trying to take control or manage their life without their consent, then your help may be better received. Some families may consider finding an in-home caregiver or other alternatives for their aging parents. If this is the route you choose to take, it will be important to make sure the person you are entrusting with your loved ones is properly certified and receives detailed instructions regarding the care of your elderly family member. It will be important to make sure you, your parent, and the caregiver are all on the same page about the tasks and services they will provide. Here is an example contract that can be used as a starting point. If considering a nursing or senior home, there are a lot of details to be sorted out. Here is a list of common pitfalls to avoid when choosing a facility for your parents. Additionally, you will want to familiarize yourself with the signs of possible elder abuse, and how to get help if this is something that you suspect. Often the role of caretaker for elderly parents is filled by daughters rather than sons. This imbalance of gender roles can lead to uncomfortable conversations, hard feelings, sibling conflict and even broken relationships. The unequal division of care and undue stress on one family member can lead to family tension and disagreements. It is important to know how to handle these conflicts, but more importantly, it is best to figure out how to prevent them to begin with. If you notice this trend happening in the caregiving breakdown in your own family, it is important to have earnest conversations up front. It may be the case that your parent expects the caregiving role to come from a daughter rather than a son. It may be the case that the daughter has a more flexible job and can take care of more tasks during traditional work hours. Regardless, it is important to recognize the imbalance and work towards sharing the load more fairly. Those who are taking care of others are often those in need of the most care. Being a caregiver for an elderly parent is both emotionally and physically draining. Primary caregivers need time to invest in their own self-care and mental health. It is important for both caregivers and those around them to be vigilant about caregiver fatigue and to be able to have strategies in place to help. If you are a caregiver, you should be aware of the signs of fatigue and burnout and take steps to manage the stress that comes with the job. Ignoring the signs of being overstressed can harm both you and those you are caring for. It will be important to learn how to accept help and rely on support from others around you, even when you think that you have everything covered. There are also creative tips on how to reduce stress and find ways to take breaks as well as caregiving apps that help to manage the different responsibilities and help you find a support network of others in similar situations. Sometimes, it is just good to hear that you aren’t the only one out there struggling to manage your role as caregiver. It can be hard to know where to turn for resources and support if you find yourself in a caregiver role. Below, we’ve listed additional resources that might come in handy. This toolkit was authored by Sarina Bajwa, MA, Israa Killawi, BA and Sarrah AbuLughod, MA, with support from Madiha Tahseen, Ph.D., and Sameera Ahmed Ph.D.
Don’t see what you are looking for? Please let us know!